Find the quest giver! 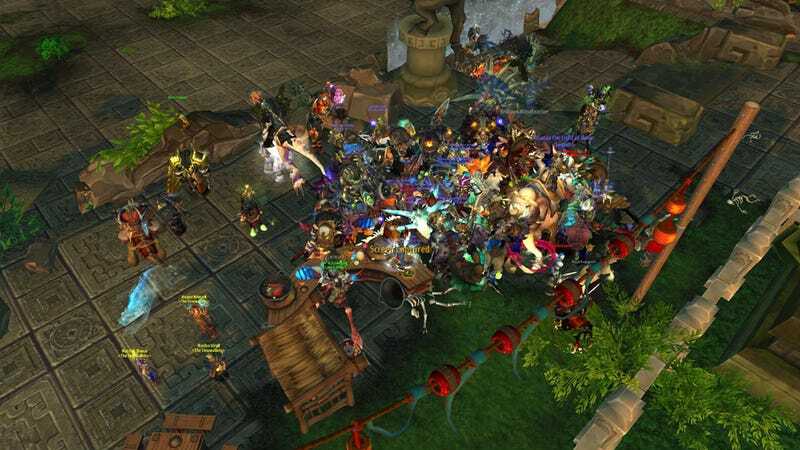 The latest patch for Mists of Pandaria dropped last night and the days after a major content patch always mean pure chaos. This is the Timeless Isle, one of the new zones in the game, and the only thing that you can clearly see is that the screenshot was taken on a PvE server.